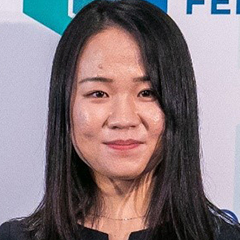 Xiwen undertook her PhD at the Sargent group at University of Toronto, having moved to Canada from China. At Toronto she explored luminescent nanoparticles, known as colloidal quantum dots, that have applications in converting light into renewable energy and developing efficient light sources. As a Schmidt Science Fellow, she will be working at Stanford to apply machine learning techniques and photonics expertise to advance progress in flexible electronics. The importance and potential impact of Xiwen’s work is nearly impossible to overstate. The global growth in demand for cheap and flexible renewable energy is proving relentless and is a necessity for the global economy to move away from fossil fuels. Xiwen’s work as a Fellow aims to develop low-cost, large-area, and stretchable devices including efficient solar cells, light sensors, and light emitters. This work opens the potential for many far-reaching applications, including wearable electronics and artificial skins.